On arrival at Bangalore Airport/Railway station, our representative will pick you up and drive to Coorg. On arrival check-in to the hotel. Remaining day is free at leisure. However, you have the option to walk around nearby places or visit the local market. Overnight stay at the hotel. Take your breakfast in the early morning and set out for a visit to Dubare Elephant Camps. While returning stop at the Abbey Falls for a refreshing experience. Resume driving to Coorg. Spend the evening as you wish. Overnight stay at the hotel. Your Coorg tour concludes today. Post breakfast, check out from the hotel and transfer to Bangalore airport/Railway station to board a flight/train to an onward destination. Set amidst imposing mountains, shrouded in mist and painted emerald with coffee and spice plantation, Coorg, officially referred as Kodagu is a nature lover's paradise. Situated at a short drive from Bengaluru, it attracts Bangaloreans for a quick weekend getaway. Every weekend, those looking for a respite from the daily grind of life leave this buzzing city behind and drive to become one with nature in this western town in Karnataka. Its immaculate natural beauty and fascinating landscape rejuvenate travelers effortlessly. And they keep searching for Coorg tour packages from Bangalore to spend weekends in the lap of nature where nature is raring to welcome them. 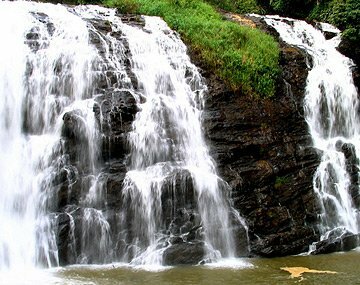 One of the most charming destinations in India, Coorg is loved by Indians as well as foreigners. Most of the travelers use Bengaluru as a jumping off point for their Coorg tours. To help these travelers, we at BookOtrip have great deals on Coorg tour packages that can be availed for exhilarating experiences, which are within your budget. Our team of trip expert has inside-out knowledge of Coorg and attraction and activities available there. Additionally, we have great relations with hotels and other services that we leverage for an affordable vacation. Bookings with the incorrect age of passenger/passengers may lead to the penalty at a later stage. The Coorg trip made a lasting impression on me. Especially the alluring mountains and verdant coffee plantations. Thanks alot Bookotrip for making my Coorg trip a wonderful one!